There are two distinct functions that a valve actuator must perform – the ‘intelligence’ of managing digital or analogue control signals and feedback loops, and the ‘brute force’ to open and close a variety of different valve types. AUMA has separated these by taking a modular approach to actuator construction so that analogue or digital control heads or, indeed, no control head, can be connected to the range of different drive units through a common interface. It’s a symmetrical connection, so the head can be connected in one of four different orientations and the basic actuator can be built on site in up to 64 different configurations. The control head can also be connected through an umbilical cable of up to 100m length, so the two components can be separated for safety or operational convenience, for example in underground or, indeed, underwater applications. 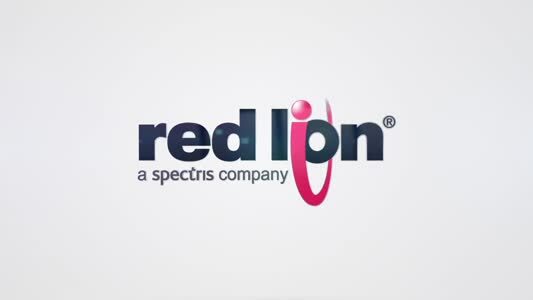 While fixed speed open/close functionality satisfies the majority of valve actuation situations, there are opportunities available from more sophisticated variable speed actuators. Water hammer can be a significant issue in many applications, and valve seats suffer if they are driven hard to their end positions whenever the valve is closed. A variable speed actuator such as the SIPOS SEVEN gives the control engineer the opportunity to specify the speed of actuation at different points in the cycle. The usual way that this is employed is to move the valve quickly through the majority of its cycle, slowing it down as it nears the close position, alleviating water hammer problems and extending the life of the valve seat. For emergency situations a ‘fast close’ speed can be specified. The SIPOS SEVEN also has a multiple speed/set point capability that can be used to provide near linear performance from low cost non-linear valves. A further interesting benefit of a variable speed system with a clever built-in inverter, like SIPOS SEVEN, is that it provides high start-up torque without peak start-up current and low overall power. What that means in practice is that cables, even on long runs, can be specified for the nominal currents and remote, even solar powered applications become possible. The valve actuator, in almost all cases, arrives on site as part of the valve package, and may only be considered as a means to an end. However, the actuator should also be considered as part of the site control system. 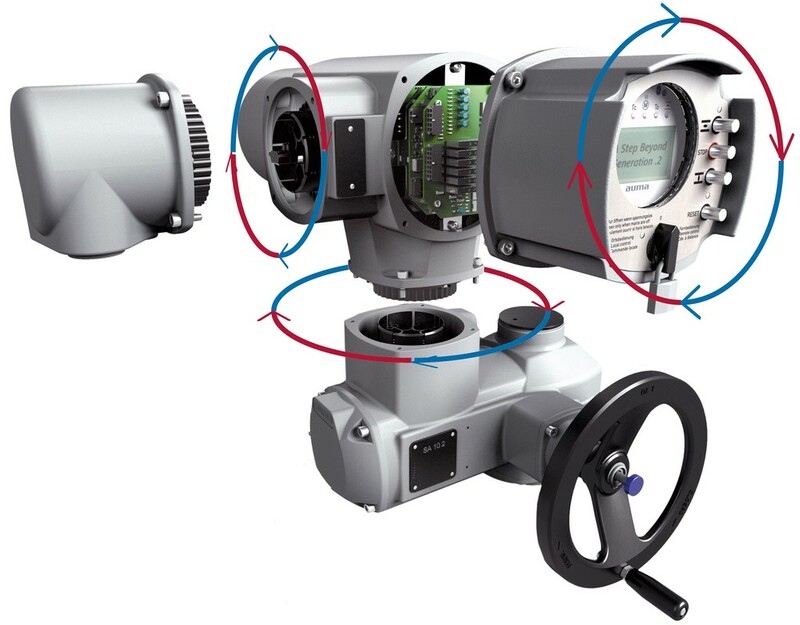 Other sensors within the process, such as level or flow monitors, can make use of the actuator’s in-built A/D conversion and industrial Ethernet connectivity to feed data back to the central control system. AUMA’s AC .2 actuator controls optionally include PROFINET for transfer rates up to 100Mbit/s, with simplified commissioning through automatic address assignment. The modular approach also provides another interesting time and cost-saving opportunity. There is no need, technically, for the entire actuator to be supplied to the valve manufacturer or directly to site. It is perfectly feasible for the valve supplier to receive the mechanical components, the gear box etc (what AUMA refer to as the ‘Norm’), while the control engineers take delivery of the control unit. That way, configuration and programming can be undertaken before the two parts of the actuator are reunited on site. Valve assemblies can be delivered on skids and installation work on site is significantly reduced. 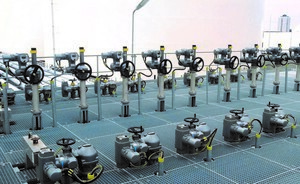 AUMA has supported these new opportunities with a multi-level training programme, ACE, which certificates technicians and engineers based within valve manufacturers, systems integrators or on-site, at the level appropriate to their task – Level 1 for correct installation and configuration, typically at the valve supplier, and Levels 2 and 3 covering more detail, including commissioning, configuration and system integration.